0 Cape Coral Vacation Rentals. Cape Coral is a beautiful city that is located in southwest region of Florida. You can find a great selection of rental villas, condo rentals and vacation homes direct by owner at great values. Just west of Ft. Meyers on the banks of the Caloosahatchee River, Cape Coral features over 400 miles of deep blue canals that flow into the river as well as the Gulf of Mexico. If you like the beach and ocean, Ft. Meyers is just a short trip in the car. You can enjoy the day in sun soaking in the rays, playing in the sand, along with several water activities, which include: swimming, snorkeling, scuba diving, kayaking, deep sea fishing, parasailing and jet skiing. Select a tour on a charter or rental boat and view the abundant amount of uninhabited islands with each having its own wildlife habitat. Visiting Cape Coral between the months of November through mid-May, take a canoe or kayaking trip at Four Mile Ecological Park. Rentals are available on the weekends and 2.5 hour, � day and full day rentals are available. Exploring the abundant of tidal creeks is a great way to enjoy Four Mile Cove. The park features 365 acres of red, black and white mangroves as well as open marshland areas. Wildlife and fish species are abundant throughout the park for your enjoyment. Cape Coral is a golfers paradise for you golf enthusiast. With nearly 100 golf courses in the area for your enjoyment, you will have a large selection to choose from. There are course for beginner to advanced players, along with several world-class courses. If you enjoy golf, Cape Coral is a great vacation destination to play a few rounds. It�s a well known fact that people on vacation enjoy to shop. Well, Cape Coral has some great places to enjoying a day of shopping, featuring several shopping plazas, boutiques and other specialty stores, you will not have a problem finding that perfect deal. After a day of activities, enjoy some great dining at one of the fine restaurants in the area. The food in Cape Coral is amazing, offering a wide array of options, rather it be a steak dinner, seafood, pasta or just a good grilled burger, you will enjoy it. If you are looking to have some fun after dinner, Ft. Meyers is the place to be, which is just a short drive away. There is a wide selection of dance clubs, sports bars and other live entertainment for your evening enjoyment. Or you can take a walk on the beach, along the ocean. 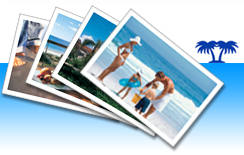 Cape Coral, Florida Vacation Rentals is a great destination for families or spouses. It is in a great location, providing easy access to other cities, beaches and islands in the area. The population of the city is only around 100,000 people, so when visiting Cape Coral, you will be in a relaxing atmosphere, which is important during a vacation. If you are looking for a destination that will help rid the stress from back home, Cape Coral is the place for you! You can book your next dream vacation right now using ivacationonline.comonline vacation rental softwareat a great value. When you book direct by owner, you eliminate the management companies, which in return saves you money. Start your search now for your next vacation and view the great selection of Vacation Rentals by Owner at ivacationonline.com.